BENGALURU: Narayana Health City gives a new lease of life to a bus conductor from Tamil Nadu who was suffering from a rare heart condition through a unique procedure called Percutaneous Balloon Mitral Valvuloplasty under fluoroscopic and Intra Cardiac Echocardiography guidance (ICE). 45-year-old Thulukkanam was born with dextrocardia, a rare heart condition in which the heart is positioned on the right side of the chest instead of being on the left side. Though he was leading a normal life, recently he started developing difficulty in breathing while walking. On investigating, it was revealed that he was suffering from mitral stenosis, wherein the mitral valve or the valve that lets blood flow from one chamber of the heart to the other had become narrow and thereby blocked the blood flow. Though mitral stenosis is a commonly seen heart ailment, mitral stenosis in dextrocardia is extremely rare. A fatal condition, it has the potential to gradually lead to blood clot and even stroke or heart failure. Percutaneous balloon mitral valvuloplasty involves insertion of a thin flexible tube through an artery in between the abdomen and the thigh area which is then threaded into the heart. Once the tube reaches the narrowed mitral valve a balloon located at the tip of the tube is inflated. As the inflated balloon presses against the valve it enables the narrowed mitral valve to stretch open. This thereby increases the size of the mitral valve opening and improves the blood flow. While this whole process takes place inside the heart, Intra Cardiac Echocardiography (ICE) helps in visualising it and carrying it out efficiently. “While percutaneous balloon mitral valvuloplasty is common, performing the same through ICE is rare. 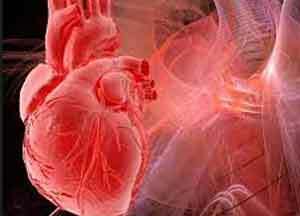 ICE is a technique that enables to see the structures of the heart from inside without opening the heart,” added Dr. Kapil Kumawat, Senior Interventional Cardiologist & Electrophysiologist, Narayana Institute of Cardiac Sciences, Narayana Health City. Having treated mitral stenosis in dextrocardia, Narayana Health City, is among the few hospitals that has the expertise to successfully treat rare cardiac conditions.